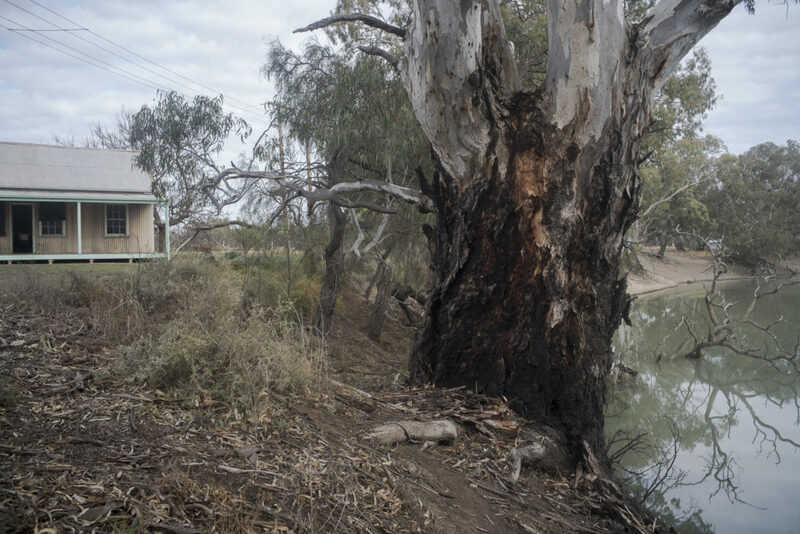 The winter photocamp at Balranald with Gilbert Roe consisted of photographing on the property of John and Marita Standen’s Rosenhoe farm, which is on the Wakool River, and scoping the area around Balranald itself, which is is located in Mutthi Mutthi traditional country. I would have liked to extend the photocamp to do more exploring and some large format photography, but I had to return to Adelaide to prepare for the Collaboration: Interrogating Melbourne’s changing urban landscape exhibition with Stuart Murdoch at Atkins Photo Lab for the SALA Festival. On my last day at Balranald I explored the Yanga Woolshed and homestead along with the outlying buildings of the Yanga pastoral station within the Yanga National Park. This Park is now part of the larger Murrumbidgee Valley National Park. The station, which was owned by the Black family since 1919, abutted the Murrumbidgee River, was built in the 1830s by William Wentworth and it was operational until the first decade of the 21st century. It is now a tourist site. I was the only tourist there that day, and the buildings, including the homestead, are slowly becoming ruins from neglect. The exception is the woolshed. It was stepping back into the history of the Mallee –well a snap shot of the pastoral history which has largely been forgotten. I presume that after around 180 years of grazing, the land was run down and the native plants were sparse. Drought, reduced flows in the Murrumbidgee River due to irrigation, Yanga Lake on the lower end of the river regularly drying up, and hotter weather and reduced rainfall due to climate change all took their toll and eventually signalled the end of this pastoral station in 2007. This was a large pastoral station. Yanga Station was a 200, 000 acre sheep grazing property and once ran 80, 000 sheep, primarily Merinos for wool production. 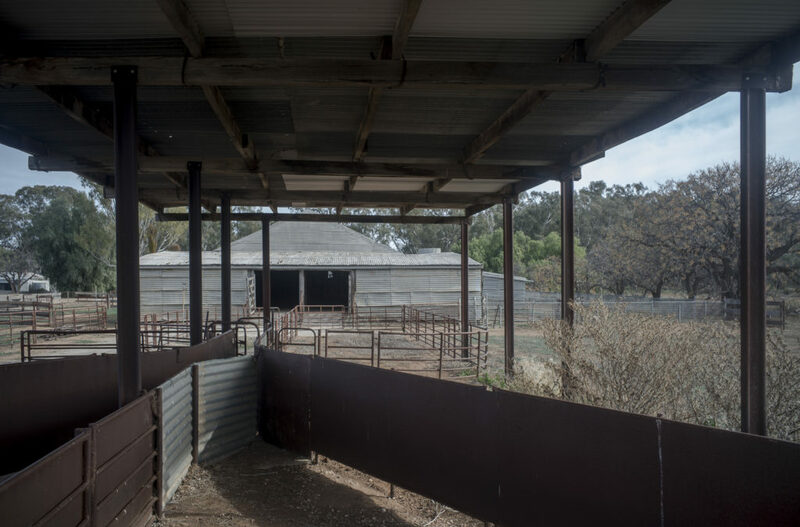 The Yanga woolshed has 30 stands and it can house 3000 sheep. Apparently, up to 100 people would be staying at the station during shearing time; including shearers, roustabouts, wool classers and cooks, which went for about 2-3 weeks each year. The station had their own jetty to load the wool bales onto the paddle steamers to send them to market. Of course the jetty has long gone and the water levels in the Murrumbidgee are way too low for paddle steamers. Irrigation now rules the western Riverina and we are left with the traces and smells of the pastoral past, thereby allowing us to begin to see the past from the perspective of the present. The digital photo becomes a photographic trace of the trace of the past and in doing so it estranges it.